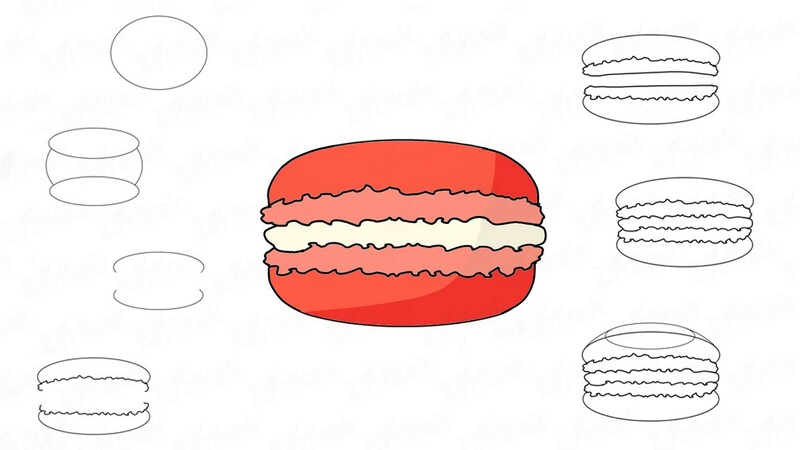 Macaroon is a popular French dessert in the form of two layers of biscuits with cream or jam. This cake is made of various colors and flavors. Girls like to help their moms in the kitchen. You can tell your daughter about this unusual pastry with the help of drawing and you can try to cook it together later. 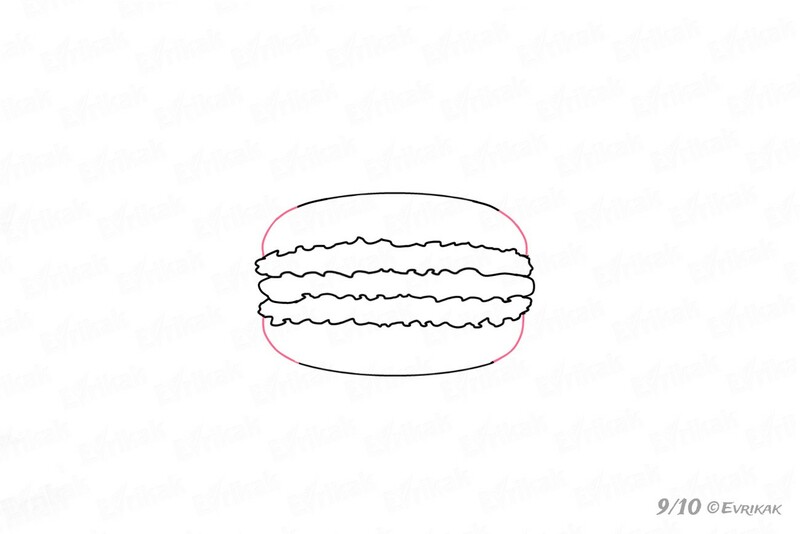 Macaroon’s basis is a circle. 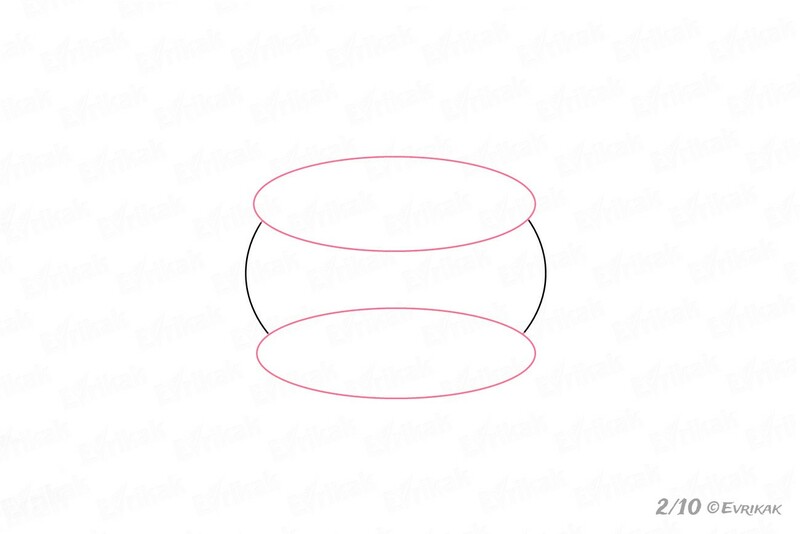 The figure is slightly stretched, but don’t make it oval. 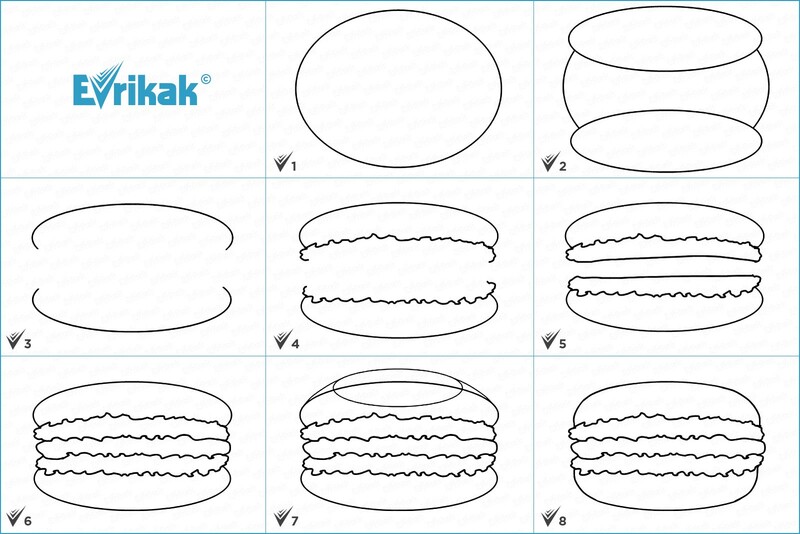 You can draw with the help of your compass or you can circle a round object. The next step is the adding of two elongated ovals, we’ll form the biscuits from them then. 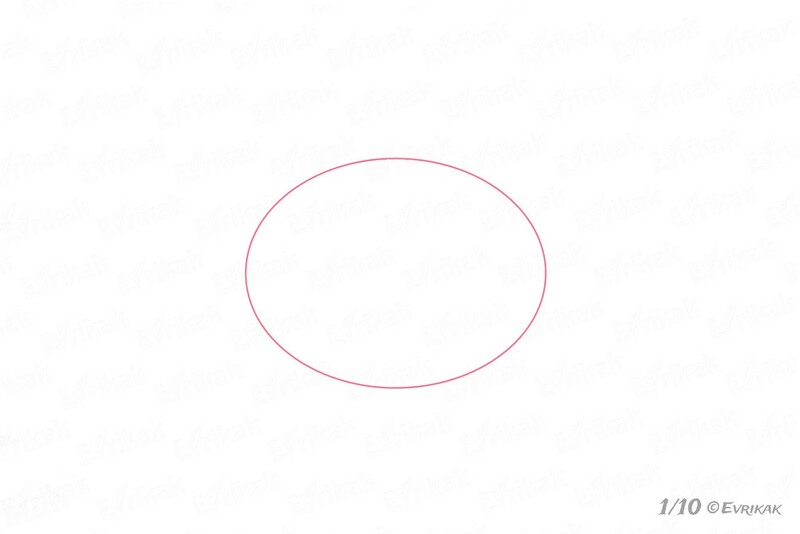 The ovals are at the top and at the bottom of the circle and they almost completely cover it. Leave a little space in the center to fit the layers of cream. 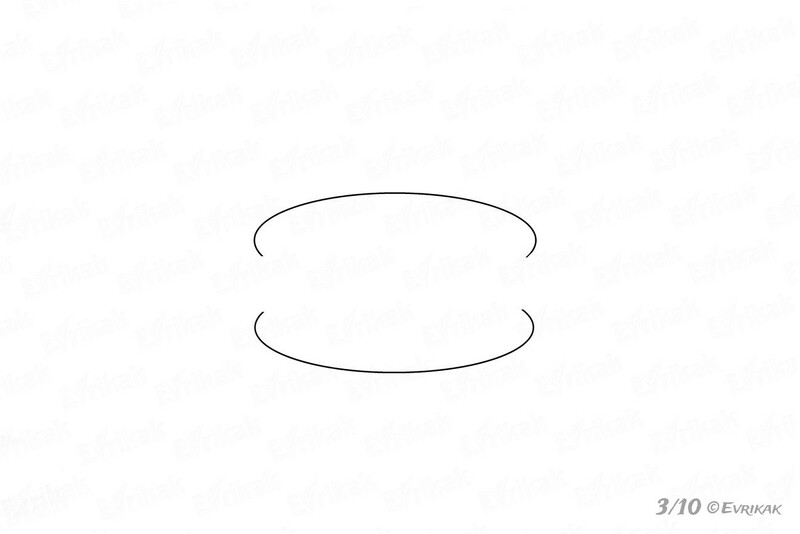 You need to erase almost all the figures’ lines, leaving the upper and the lower semi-ovals. There is a cream between the biscuits. It’s thick and doesn’t leak. But the filling is laid with the uneven layer. 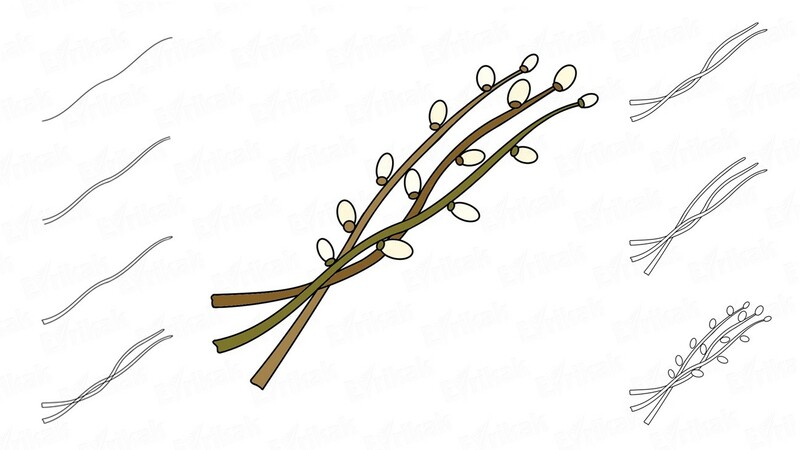 Draw the cream with the help of the wavy lines. 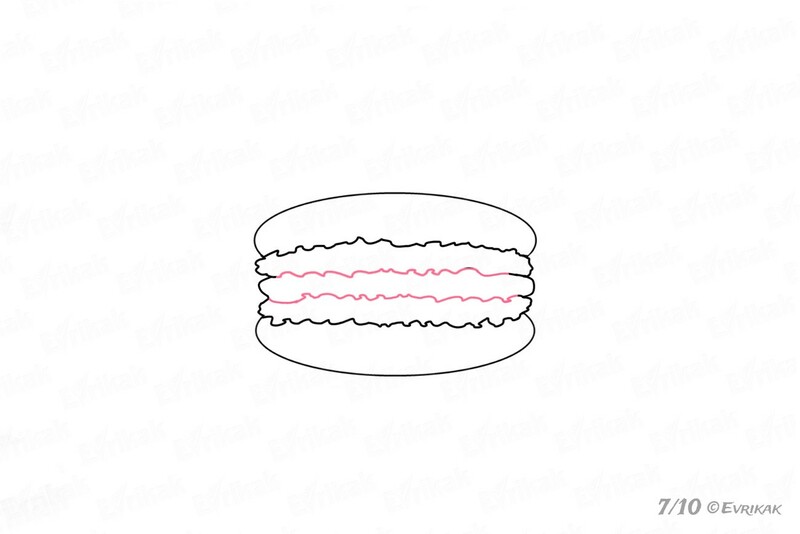 Don’t connect parts of the cream, the center should separate them, the macaroon looks like a layer cake for this reason. 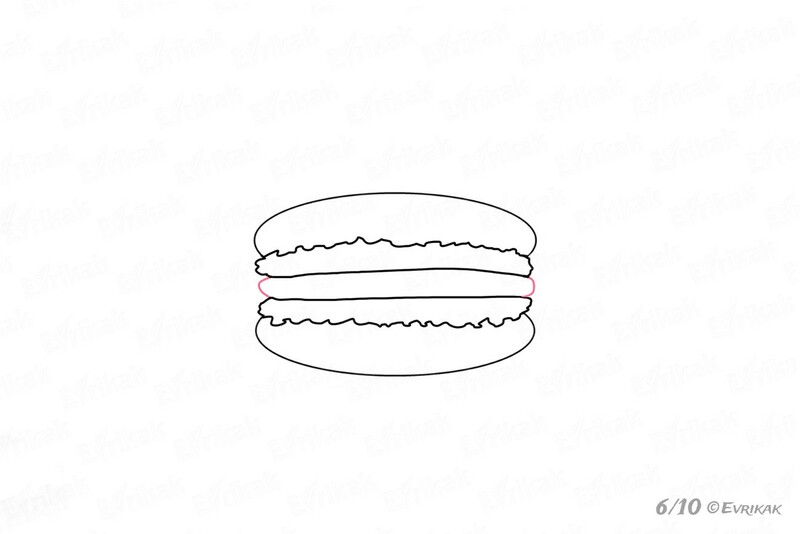 Connect the edges with the help of the rounded lines. The center is uneven as the rest of the cream’s layers. 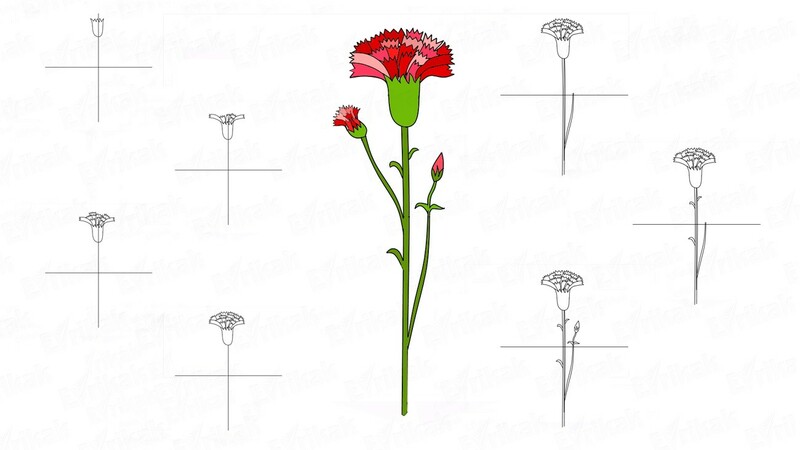 Correct the horizontal lines and make them uneven, correct them with the help of the eraser, if needed. 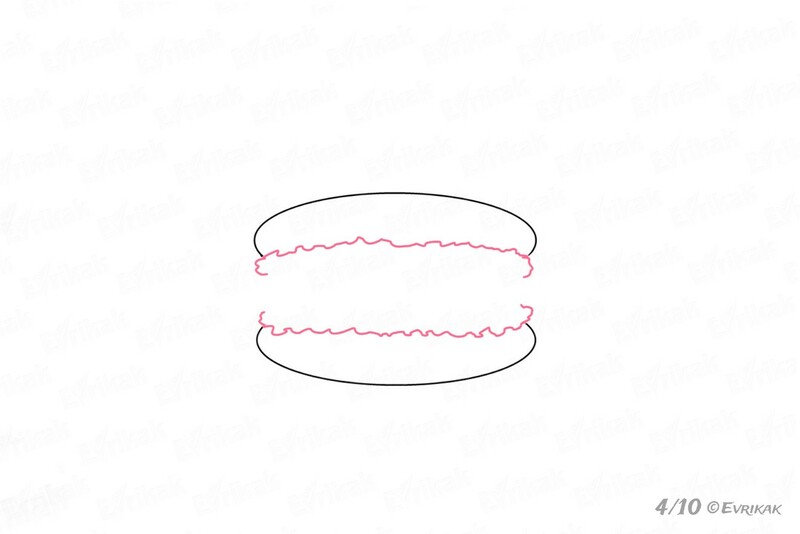 Make the upper part more voluminous, because macaroon slightly grows while it’s being baked. 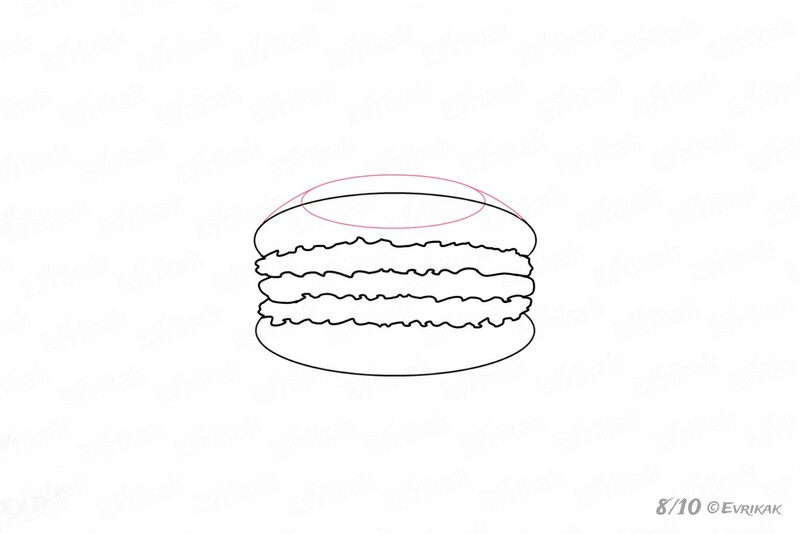 It’s easy to do – draw the oval in the cake’s center, draw two lines to the left and to the right down from it. 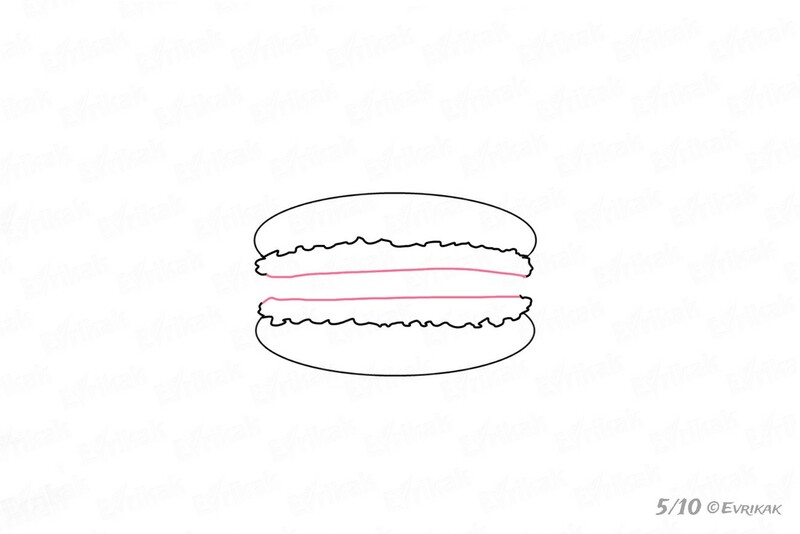 Erase the unnecessary details and make the macaroon look more rounded. 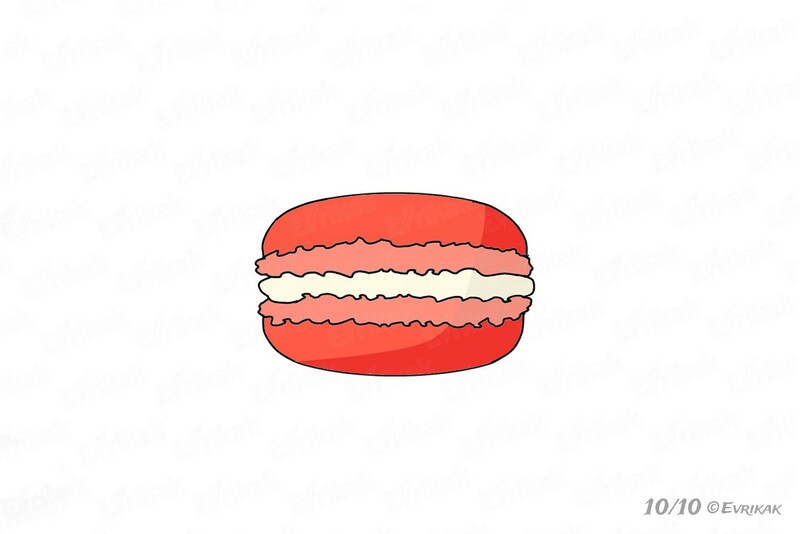 You can color the macaroon in any color you want. 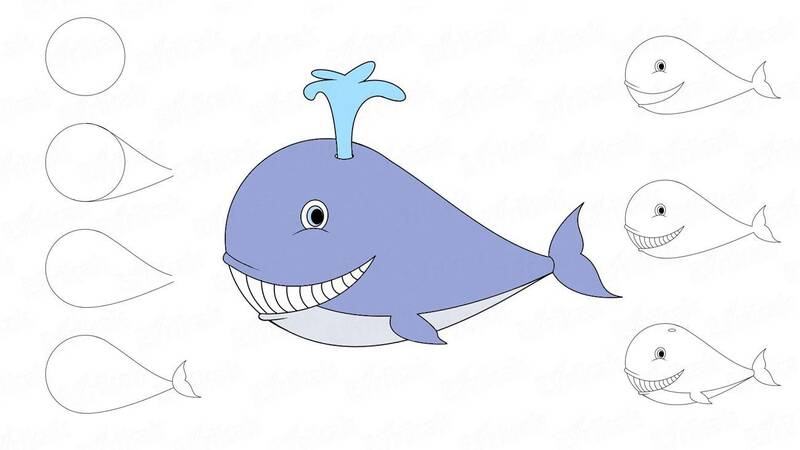 Let your child be a pastry cook and choose his or her own colors for the cake. You can also choose your favorite color for the filling and play with the colors. 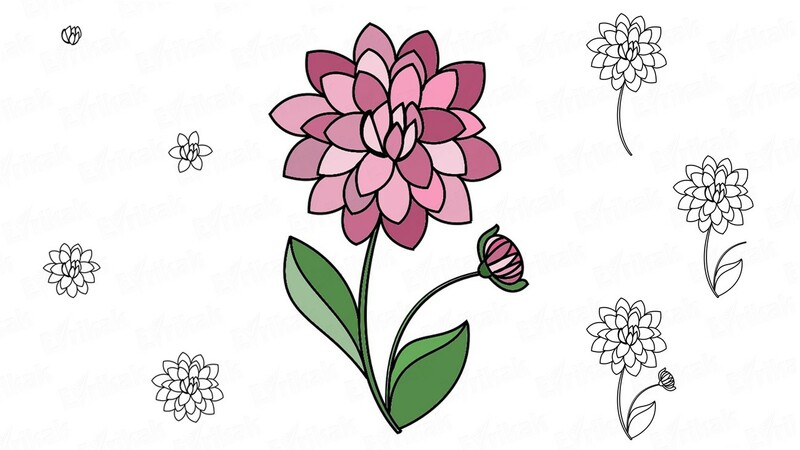 We have created the macaroon’s coloring for this purpose which you can color online or print the picture and color it later.